EURUSD touched 1.3800 during retracement as discussed in our last report and as expected, it is looking to get back into its downward trend and head towards 1.3600 level, break of which will set 1.3450 as next target for EURUSD. 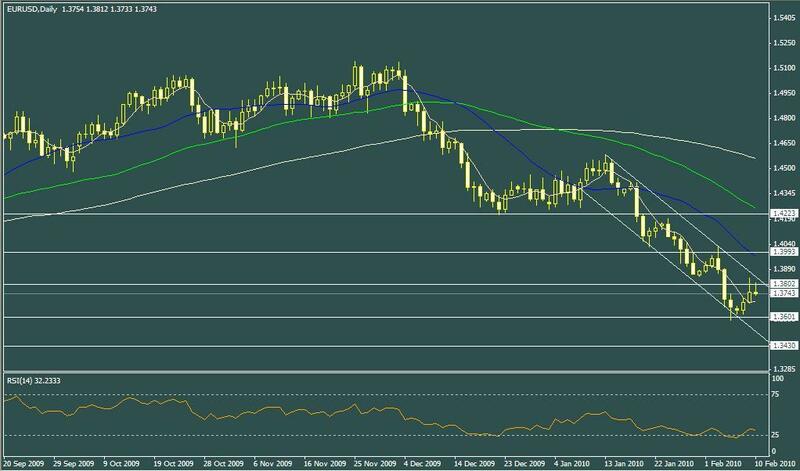 RSI has also opened up after some retracement by EURUSD and it seems that it is all set to resume its trend. For those trades who missed on selling EURUSD just above 1.3800 level, they might get another chance before EURUSD takes a dip. Sell EURUSD @ 1.3800 for Profit Level @ 1.3600 with Stop @ 1.3900 level.